The IFA added that some retailers are using labels that suggest their product is Irish when it is, in fact, imported. THE IRISH FARMERS Association says that half of pig meat tested in Ireland isn’t Irish. The Association says findings from their DNA-testing programme on pigmeat shows that consumers “continue to be misled”. They added that is a “very disappointing level of support for Irish pig producers”. From almost 300 samples that have been collated and sent to DNA firm IdentiGen for cross-checking with the Irish boar DNA database, 52 per cent of products are not Irish, the IFA found. The IFA research found that suppliers are using labelling that suggests that the meat is Irish when it is, in fact, imported. One firm, the IFA says, is a member of the Love Irish Food campaign and uses that logo on imported pig meat. Among the other findings are that one of Ireland’s two major indigenous retailers, Dunnes Stores, fares poorly in the test results for its own St.Bernard brand, with only half of its samples matching the Irish database. 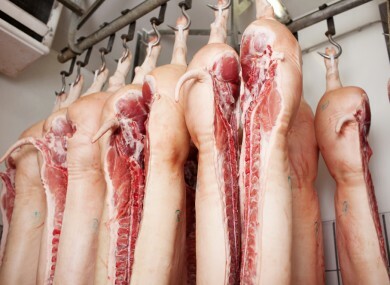 IFA Pigs and Pigmeat Chairman Pat O’Flaherty said that the campaign was designed to better inform consumers. “The idea behind this pilot campaign is to help consumers make informed decisions when buying pigmeat products and to increase the sales of Irish product in the domestic and export markets”. Email “Half of tested "Irish" pig meat isn't Irish - IFA”. Feedback on “Half of tested "Irish" pig meat isn't Irish - IFA”.